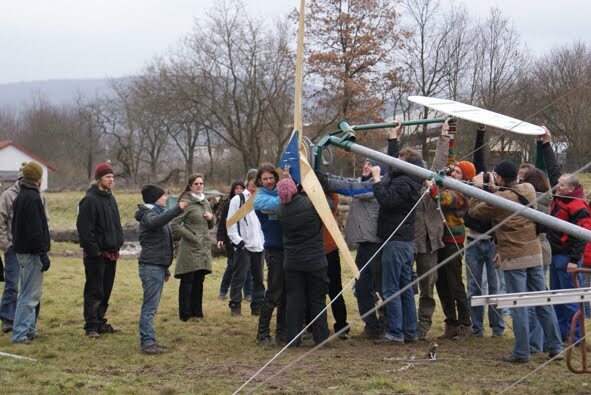 During this three day-course, everyone will get a chance to work on all aspects of building a wind turbine, including woodworking, metalworking and electrics. At the end of the course we will erect the turbine and see it in action (if it's windy!). The turbine we will be making is a 12V / 200W Hugh Piggott Axial Fluxturbine and will have a 1.2m blade diameter. The course will be run by Cambridge Greentech and V3Power and will be held at the Cambridge GreenTech workshop, Harvest Way, Cambridge. There are 12 places available. The cost is £150 before 25 June or £180 after that (this is much lower than normal thanks to the support of the Society for Environmental Improvement). Meals are included and we will do our best to put people up if you need somewhere to stay. More info and booking here: http://www.transitioncambridge.org/windturbine.